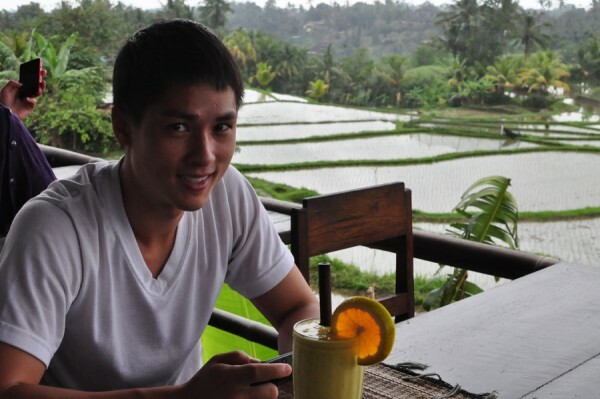 For us, Ubud was a breath of fresh air and a nice retreat and break from the constant backpacking lifestyle. If you’re looking to zen out, this could be the place for you. More like arriving into DPS airport late and leaving, immediately. That’s what we did — booked a taxi and made the hour-long journey to Ubud. You can ask your guesthouse to book a taxi for you. Ours must have forgotten because the car never came. They also forgot we were arriving late. We spent 15-20 minutes knocking on doors at 2 AM in the morning scared we were going to be sleeping in the streets. Eventually, grandpa opened, showed us to our room and the rest was history. We got around town on foot. The only day we hired a car was to go see the Sacred Temple. 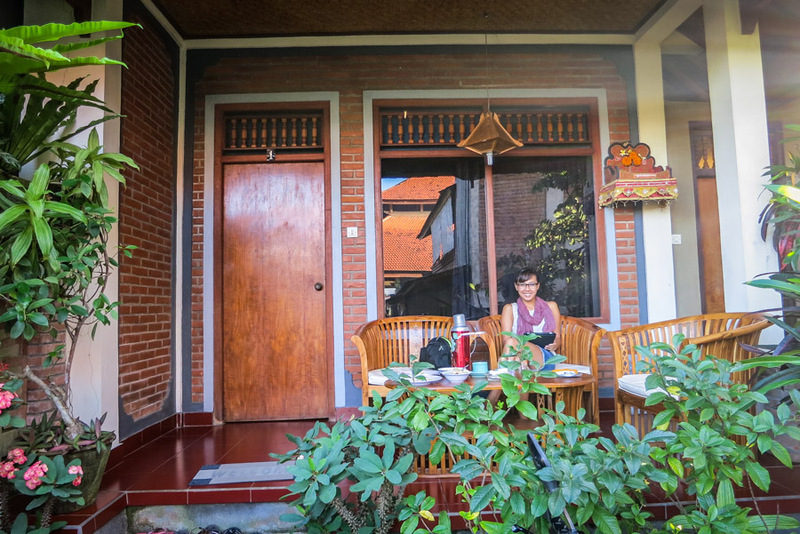 We stayed in two different guesthouses while in Ubud. Our first choice, Desak Putu Putera homestay, was a homestay good for backpackers looking to stay on a budget ($15 / night). However, I will say there are plenty of good and affordable guesthouses in town to choose from so it’s not like your options are slim. Location is good, walking distance to Yoga Barn. The first room we had ended up having an outdoor bathroom. Try taking using the toilet on a rainy day, not that fun. But the bed is decent, room clean and enjoyed fresh fruits and delicious banana pancakes for breakfast on our front patio each morning. 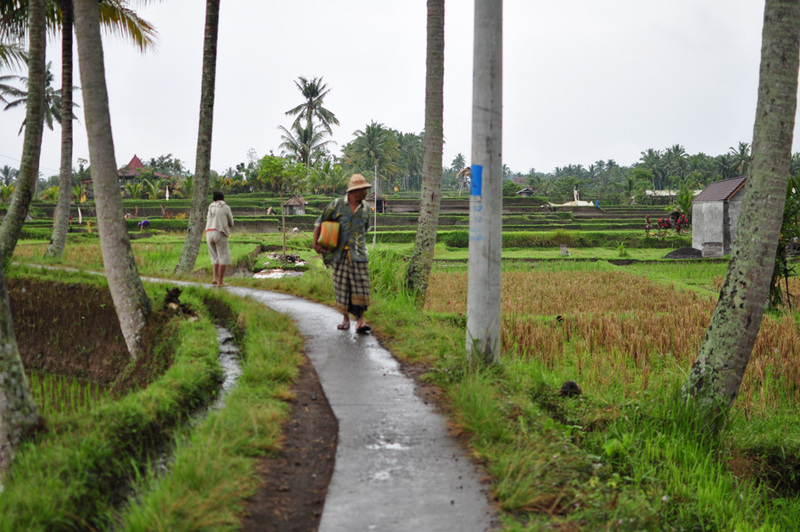 Hire a taxi and go see the major attractions in and around Ubud. Mount Batur, Tirta Empul Temple and the famous Tegalalang Rice Terrace is all doable in a half day ride. We did not want to make a full day out of it so made sure our driver only took us here. The view at Mount Batur is nice, but they’ll try and sell you up on lunch buffet with a view at one of the many tourist restaurants lining the cliffs. The lunch leaves something to be desired. Don’t be afraid to bargain, because you can. We did. 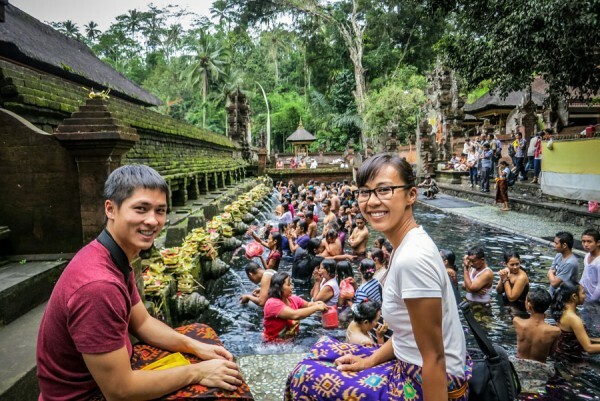 Tirta Empul Holy Water Temple is a must, and the view is quite spectacular. We did not bring our own sarongs, but they were supplied by the temple for us to cover up. It’s quite small, so no more than an hour is required. On our way back into town, we drove by Tegalalang Rice Terrace to catch a glimpse of the famous rows of rice patties on the hillside. The roads were packed with tourists, and we did not want to trouble our driver to pull over so we simple ask him to drive by very slowly. That was more than enough since we had just visited Sapa in Vietnam. Take a walk along rice patties and make your way to Sari Organik and reward yourself with a mango smoothie with a view. To get there you need to head towards Campuan bridge when you come from Ubud Palace. Just before the road turns into a green oasis with huge trees hanging over the road, you turn right up a road that looks more like a driveway. If you’re up for a workout, do a bike tour with Banyan Tree Bike Tours. Stretch out at Yoga Barn. 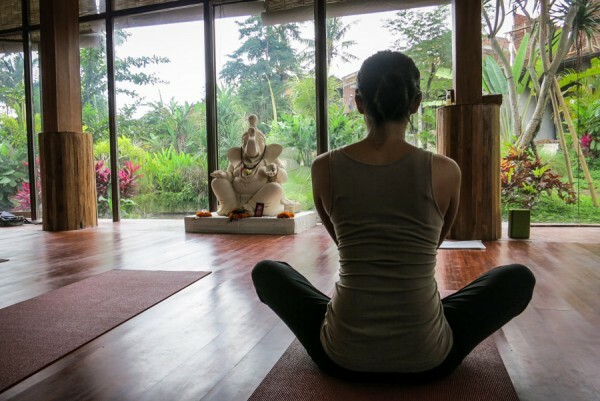 Yoga Barn has a great intro to yoga and a relaxing one at that. Get a massage. Just make sure it’s not outdoors or you can get eaten alive by mozzies like I did. It was hardly relaxing. However, plenty of indoor massage and spa places to choose from. 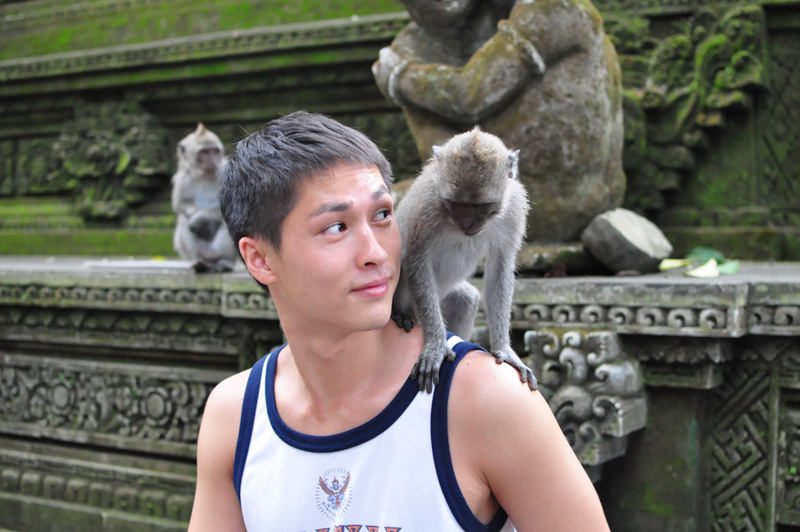 Take a walk around Monkey Forest. Fair warning, the monkeys are unpredictable. We’ve heard stories of monkeys acting up, stealing things and what not. Some came uncomfortably close to us, others sat on our shoulders long enough for a photo opt. That’s about it, nothing crazy. Catch a Kecak Fire and Trance Dance show. It’s cool to see all the men from surrounding villages come together to put on this show. The chant in a circle is my favorite part. 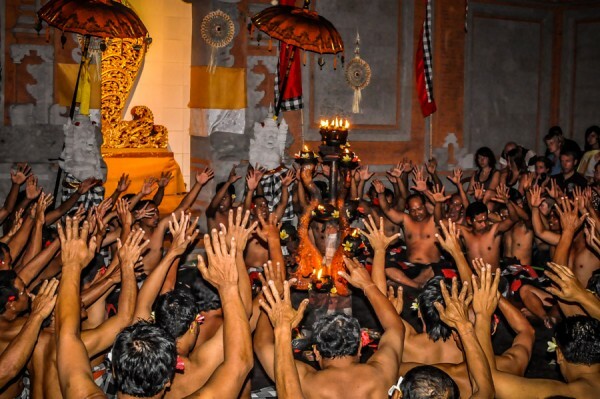 Get a glimpse of Kecak from the first few seconds of the Bakara documentary trailer. Warung Babi Guling Ibu Oka to pig out on.. Even though it was once visited by Anthony Bourdain, we felt it was a little overhyped. But hey, it’s still crispy suckling pig. 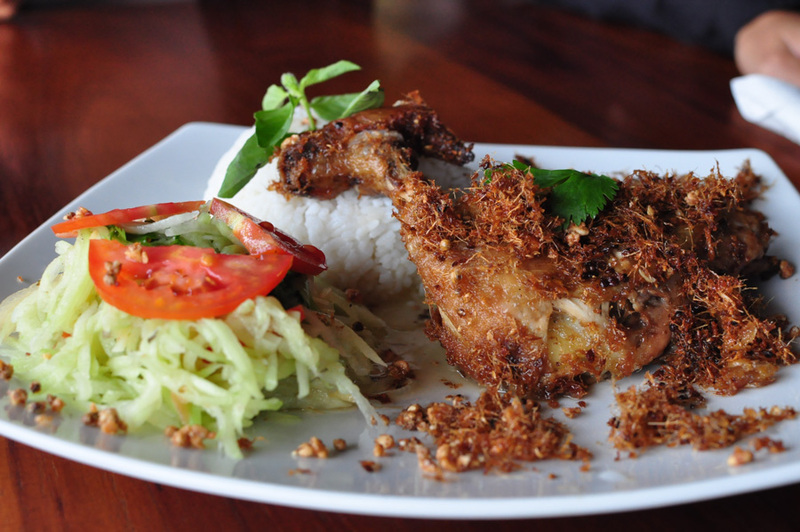 Another famous overhyped restaurant for us was Bebek Bengil which served their famous ‘dirty duck’. The ambiance and the grounds are nice, but we really just had overpriced dry duck. Nomad has a wonderful outdoor ambiance, and they played old school R&B jams. We loved the music so much, we ask for the album name and they brought out the CD to show us. One of the songs on the soundtrack, Simone Kopmajer – Nothing’s Gonna Change, eventually became our first dance song at our wedding. But back to the food, not memorable but I can’t recall it being bad either. We came here after watching the Kecak show because of proximity. 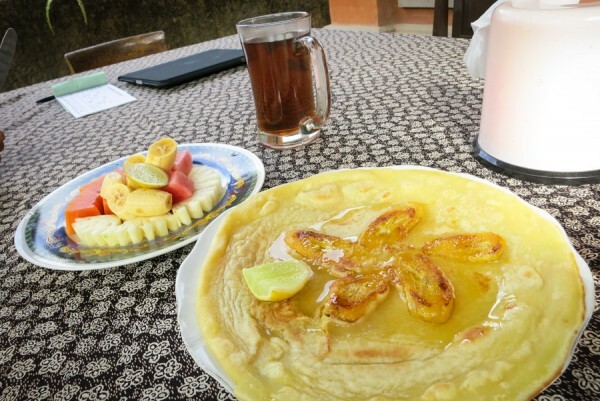 Melting Wok Warung is our favorite place to eat in Ubud. 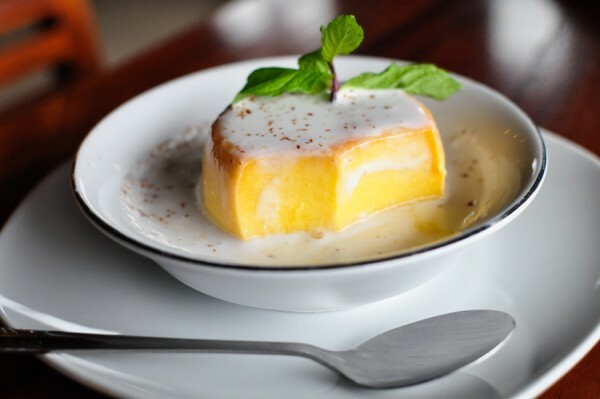 The dessert, flan in coconut milk is worth the visit alone. Luckily, the rest of the menu is just as mouth-watering. 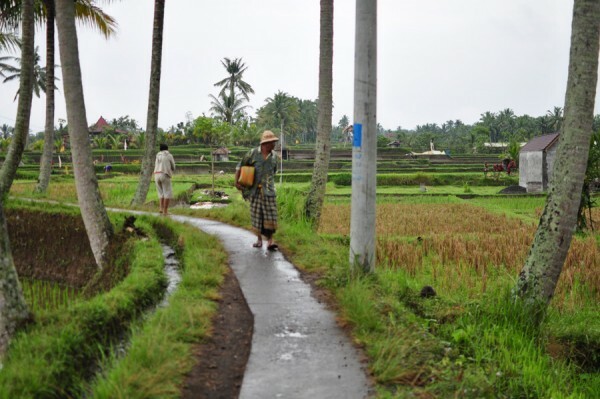 Ubud turned out to be our very own, mini Eat, Pray, Love experience: we biked through rice paddies, there was some yoga involved, and we met Ketut — well, not the Ketut but a Ketut. All in all, a much needed break from backpacking the world. What’s your Ubud recommendation for first-timers? Babi guling Ibu Oka is arguably the most popular place to try Balinese sucking pig. But as you said, it’s really overhyped. 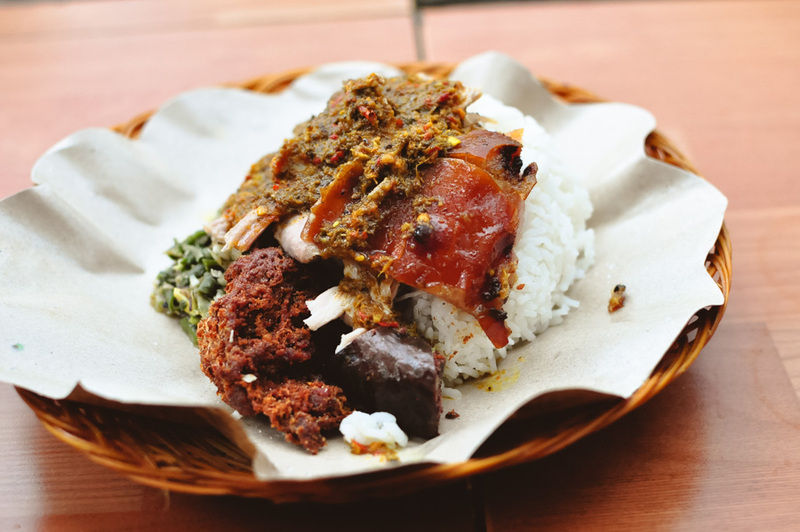 I found a much better babi guling in Sanur called Handayani, on the west side of the island’s southern coasts. 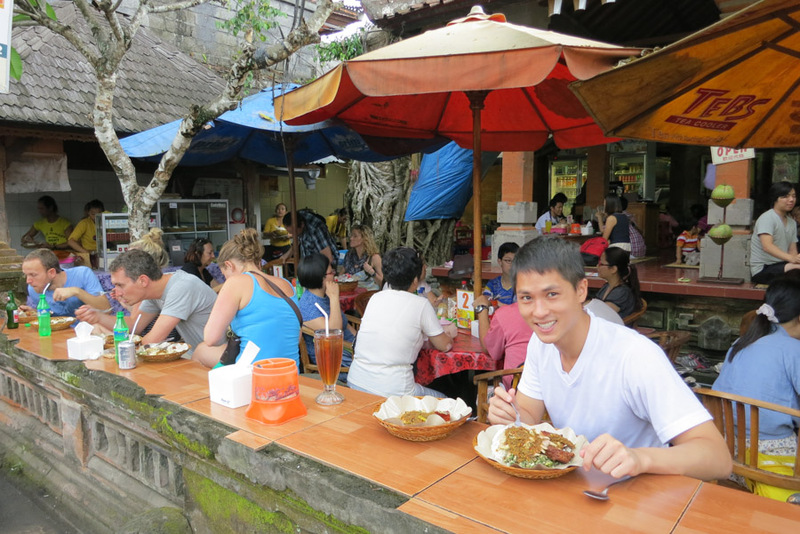 After several trips to Bali I learned that the best restaurants the island has to offer are not the famous ones.